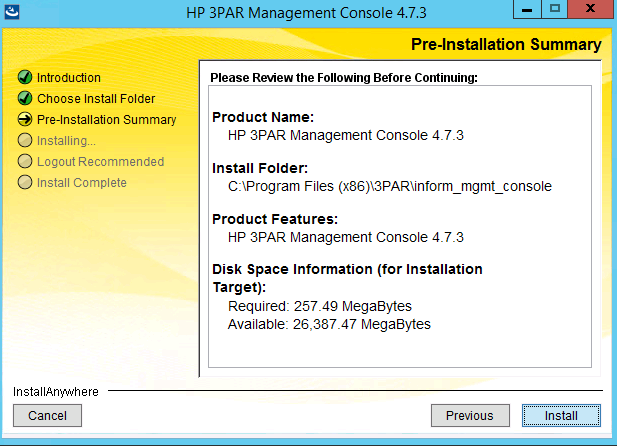 The process for downloading and installing the 3PAR Management Console is covered in this post. 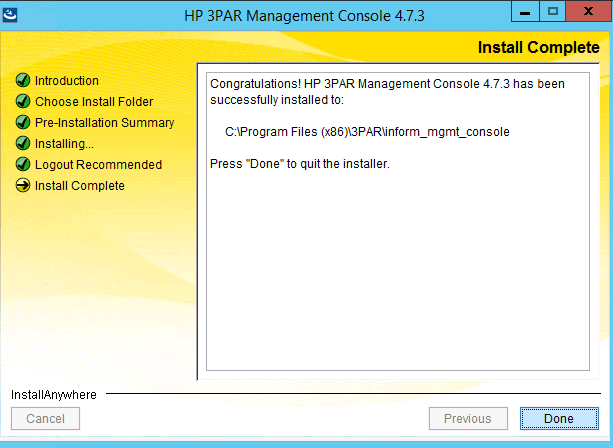 The 3PAR Management Console was the traditional tool for managing your 3PAR systems. 4.7.3 was the last incarnation of IMC, since it has been superseded by the StoreServ Management Console (SSMC) which gives you a pretty web based management interface. If you want to get started with the SSMC you can get ready with our SSMC install guide and beginners SSMC posts. 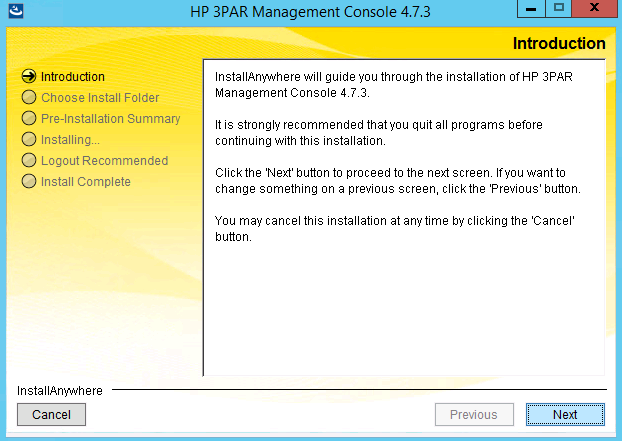 If you are running 3PAR OS 3.3.1 and below or just prefer the traditional management console then read on. 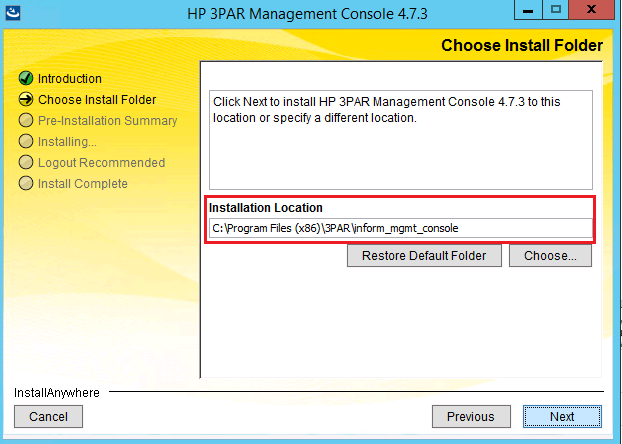 1 You can download the 3PAR Management console, form this direct link which takes you to the 3PAR software depot. If you just browse the depot its hidden. Its dead easy but here I will walk you though the process with screen shots. 4 A couple of information screens appear during the install, no need for any input. Just wait for the install to complete. 5 That’s it just click done, and you have the latest version of IMC installed! 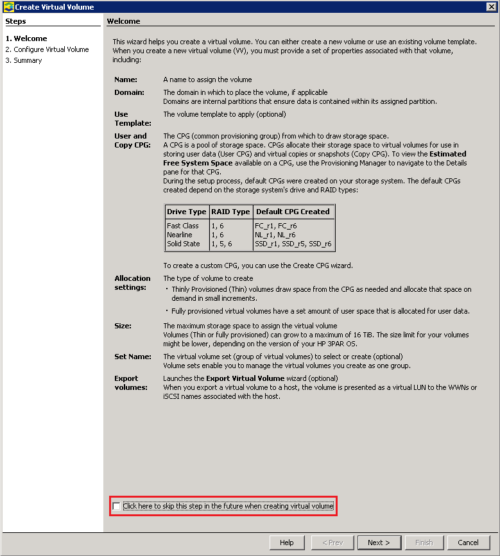 Can you confirm that Version 4.6.2 of is the last iteration of the IMC for managing classical F-Class Arrays? I would love to use the new browser based Console, but have heard that it it doesn’t support old F or T-Class Arrays. Is that true? I had 4.7.1 working just fine then windows pushed an update and it no longer works. I tried to uninstall and it just failed to uninstall. I reloaded my OS from scratch and have tried to install 4.7.3 and it loads the “install anywhere” then nothing… it wont continue to the installer. 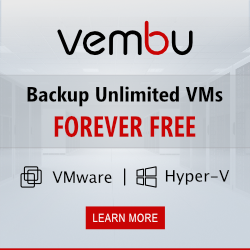 Have you seen this issue? No not seen this or had anyone else report this, yet. Have you checked the usual stuff like run as administrator, anti virus? I am unable to login to IMC 4.7. 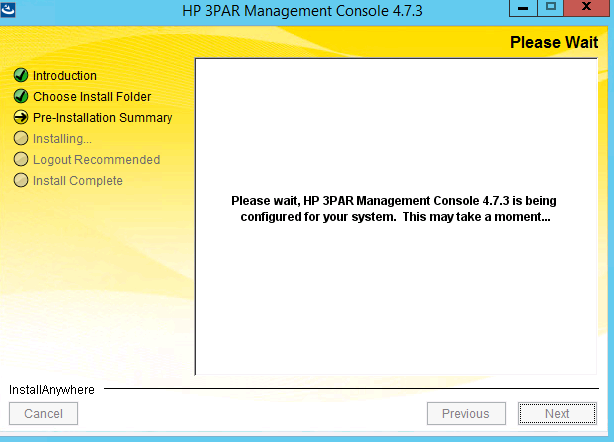 But i can able to manage the 3par through CLI. could you please let us know what might be the issue with my IMC. Just tried to install the SSMC on a Win 2016 Standard VM. Installation sailed through fine, I’ve opened inbound port 8443, however when I try to run the Console (IE 11 opens) the page doesnt load. I just see the spinning wheel in the webpage.